Lucia Bogatay was born in Columbus, Ohio. She received her degree in the history of art from Wellesley College and one in architecture from Harvard Graduate School of Design. In the Bay Area since 1969, her architectural practice in San Francisco is gradually losing ground to her increasing fascination with clay. Her father, Paul Bogatay, a ceramic artist of note in the mid-20th Century, was a designer of art pottery dinnerware, a sculptor, and a teacher of ceramics at Ohio State University. Lucia inherited his tools, and inspired by his example, she started taking lessons at The Clay Studio in the 1990’s. 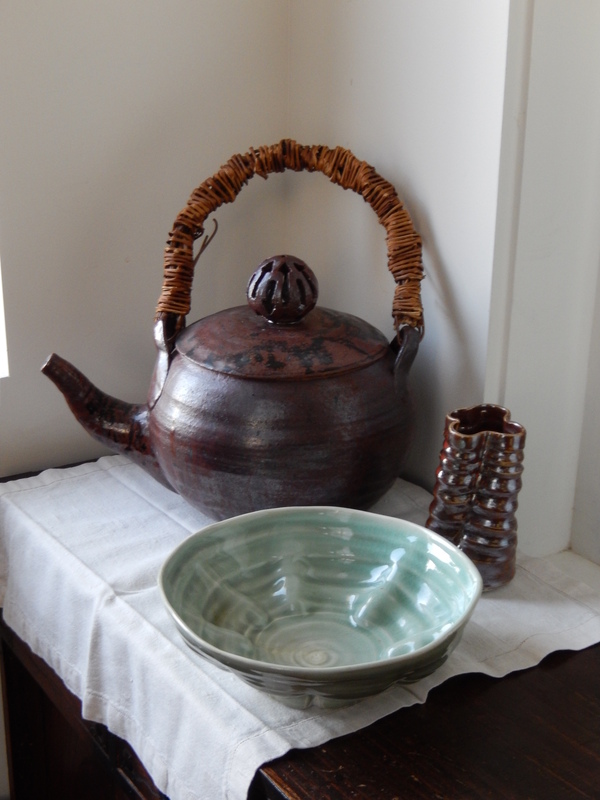 She first occupied her studio at the sfclayworks in 2013 and has been potting enthusiastically ever since. The new challenges of making glazes and firing, the engrossing possibilities of different clay bodies, and the process of discovering, experimenting, and pushing the limits of the available materials, seem endless.